Razak is a part of the family now. Khalik loves him like a son, so do her wife. Parveen also likes him. However Gulam and Kadir doesn’t like him at all. This disputes lead Razak to the point that he packed his bags and was about to leave. But Haji Kahlik was able to stop him doing so. He get him new uniform, so he can serve the guests like a waiter. Haji Khalik was very fond of giving service properly. He was proud of the fact that there were great and remarkable people came and stayed on his boat. It was the time of British rule so most of them were British officers of course. But it doesn’t affect the fact the Haji Kahlik was famous for the service he offered. Narayan came with the guests from Mumbai. They have booking on Haji’s house boat. They are Mr. Prabhakar Bhonsle (an officer from customs – stationed at Mumbai) and his wife Usha, along with their two children. Narayan introduces Haji and guests to each other. And then he left. Mr. Bhonsle’s wife was studying the society and people of Kashmir and was very excited to feel it from so near. Mr. Bhonsle also convinced that the experience of living in a house boat will be a life time memory for him. The kids are already excited and enjoying the place. Razak was also ready for his first official duty to attend these guests. First time in his uniform, he was excited too. Khalik also believed in the ability of this clever and enthusiastic boy, and hence gave him big responsibility. Actually, the people who live on tourism, tourists are their major (if not sole) source of money. The service they provide is the main thing which counts, so they treat them like their own relatives and important guests. The tourism culture is shown beautifully here. There was a marriage function arranged at the place of one of the relatives of Gulam (his wife’s uncle’s daughter is marrying) and today is scheduled her Mehandi Ki Raat. So all the family member needs to finish their work comparatively early that day, so they can reach on time to the venue. 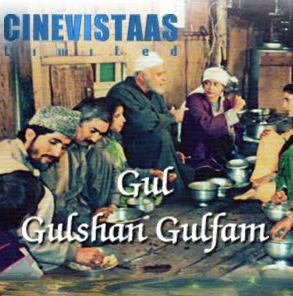 A tour is arranged in the lake in a boat known as Shikara, Gulam takes the Bhonsle family for the same. One the way he tell a lot of stuff about Kashmir, the lake, the mountains and the vegetable markets. Some interesting facts we got to know that the entire farms of vegetable can be arranged on the water of lake. It is easy to tug them with the boat also. So you can floating farms, which you can bring with you anywhere! Awesome!!! In past those farm were stolen also! Something unbelievable but true, and possible by seeing the attributes of the floating farms. He also tells the story about a sage and his desperation to reach to the top of a distant mountain, which is considered to be the home of Lord Shiv (Lord Shiva). Mr. Bhonsle informs him that his wife Usha is keen to see the people living in Kashmir, properly. Then he was informed that most of the tourists came and see several major cities of Kashmir and thought that that had seen entire Kashmir. But, it is not the fact. Kashmir in reality is very vast. The real Kashmir doesn’t live only in the few major cities. As Usha is interested in seeing the social functions, especially marriages, performed in Kashmir; she was invited to attend the wedding Haji’s family was going to. Will they attend the wedding? Will it be a great experience for them? Or something disastrous happen there? Well, you better watch it with your own eyes. Parikshit Sahni, Pankaj Berry and Radha Seth are excellent in terms of acting. Haji’s son and friend plays their part pretty well and Razak and Parveen act better now. The lady playing Usha Bhonsle lacks acting skill (when compare to the first rate actors), she had a lot to improve. The real Kashmir and real life of real middle-class people in Kashmir portrayed very well. Through the medium of a tour in lake, some good and important information is delivered to the viewers. Background music is an aid. The simplicity of various stuffs makes it more authentic. Overall, an informative episode, you will know the culture of the people of Kashmir as well, along with getting entertainment.